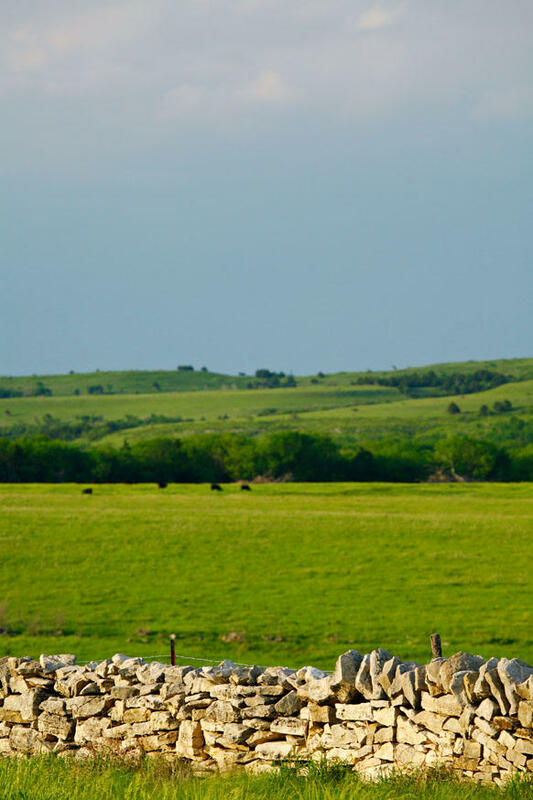 Witness history and beauty as you roll through the landmarks and landscapes of the Flint Hills. While views of nearly treeless hills with bluestem grasses haven&apos;t changed much over the years, many major events have unfolded here. 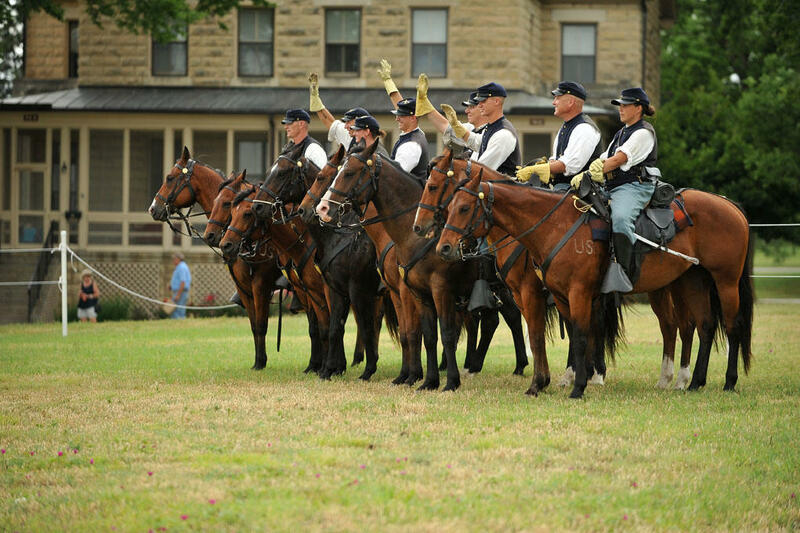 Revisit an early chapter in state history at the First Territorial Capital State Historic Site in Fort Riley. The first Kansas Territorial legislature met at a stone building in 1855 to draft a state constitution, with proslavery and antislavery forces vying to guide the future state’s fate. Head east on I-70 to find another restored historic building. The Volland Store in Alma, a 1913 general store, retains its original brick walls. Interior renovations turned the building into a place for art and community, with gallery space for art exhibits, gatherings and musical performances, plus unique loft lodging. South of Alma, in Council Grove, satisfy hunger for history at the Trail Days Cafe and Museum. Dine on roast elk (preferred by Native Americans) or German schnitzel (more common among settlers). After ordering, view the historical exhibits, including a Kanza pictograph thought to be a warrior’s memorial. While in Council Grove, see another Native American tribute at Allegawaho Memorial Heritage Park, site of a 1925 monument to an unknown Kanza warrior. Take a bike ride along a stretch of the 117-mile Flint Hills Trail, where the region’s beauty reveals itself. More of that beauty awaits at the Tallgrass Prairie National Preserve, a National Parks Service property in Strong City. It’s one of the only parks preserving the grasslands and nearly treeless hills that once covered the country’s heart. 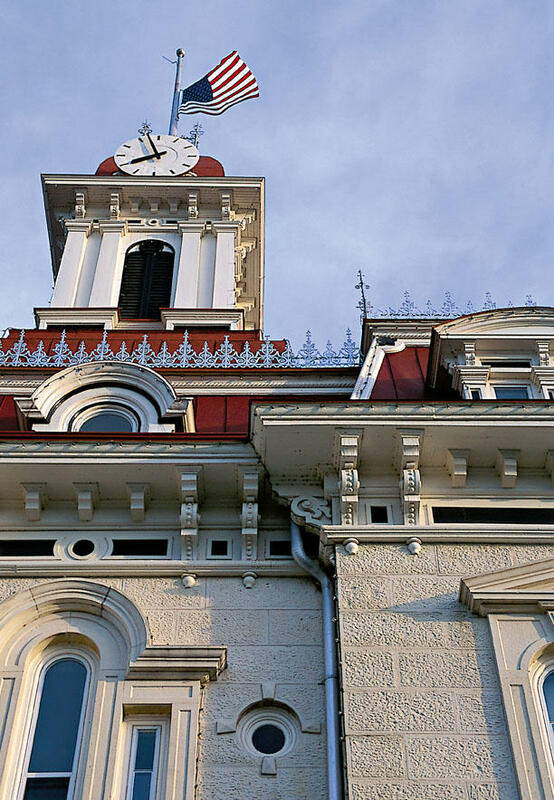 Mesmerizing architecture sets off the Chase County Courthouse in neighboring Cottonwood Falls. The native limestone building’s French Renaissance style and red mansard roof combine to command attention. Inside, a three-story spiral staircase features walnut from local trees. Farther south, past and present meet at Pioneer Bluffs in Matfield Green. 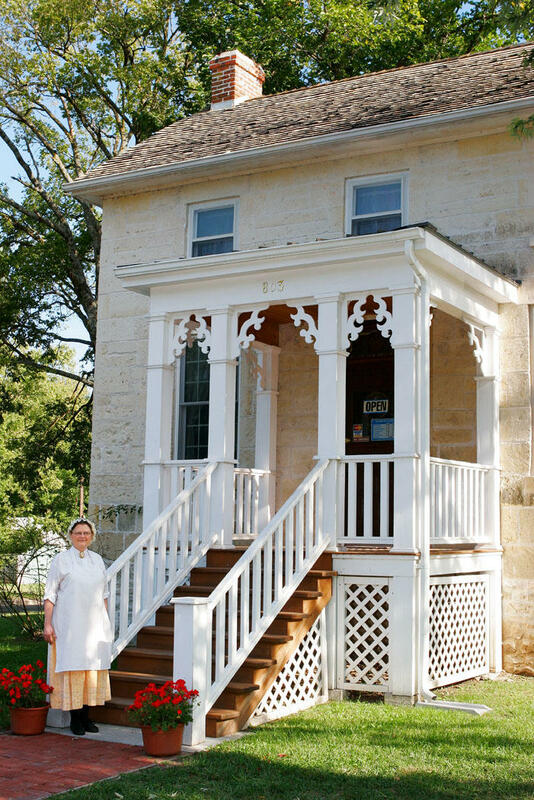 The early-1900s farmstead (with a mile-long limestone fence) contains an art gallery with colorful Flint Hills-inspired works by local artists. Community events such as Prairie Talks share the region’s heritage with new generations. Settlers left the Santa Fe Trail for this 47-mile stretch between Council Grove and Cassoday, forming today&apos;s charming towns. Be wowed by rock formations and admire the work of masons who used native stone to build villages along this 48-mile route west of Topeka. Explore more Flint Hills magic here, and check out the 2018 Kansas Official Travel Guide for more scenic excursion.